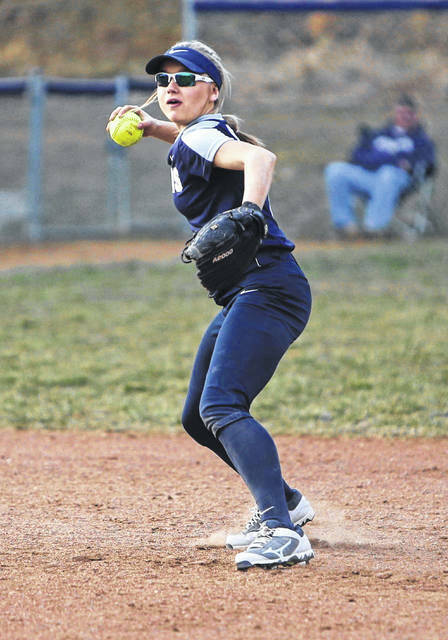 Notre Dame’s Taylor Schmidt has heavily aided the Titans in their 9-0 start this season. Wheelersburg’s Laney Eller swings at a pitch during Wednesday’s 15-0 win over West. PORTSMOUTH — For the most part, rain has stayed out of the forecast, allowing many of the area’s baseball and softball programs to start their springs on the right foot. Over the first two weeks of the season, we’ve seen walk-off winners, no-hitters, home runs and much, much more … so we thought we’d try and make sense of all of it. A. As if you didn’t already know this … if you expected Wheelersburg’s softball program to miss a beat this season, well, sorry about your luck. The Pirates have talent at every spot in their lineup and, to name a few, Boo Sturgill, Rylie Hughes, Laney Eller, Christen Risner, and Mallory Bergan [etc., etc.] lead the charge. That’s not to mention two more than capable arms in Sydney Spence and Sarah Claxon … and, of course, coach Teresa Ruby. Put it all together and you’ve got a conference, sectional and district favorite group that looks to live up to its reputation. B. After a regional championship season last spring, Minford’s baseball program is still really, really good … in fact, they may even be better. Think about that for a second. On the hill, Elijah Vogelsong and Ethan Lauder have done exactly what they were expected to do and, at the plate, Brayden Davis, Darius Jordan, Reid Schultz and Luke Lindamood are all terrors to pitch to. At 9-0, the Falcons have beaten quality opponents [i.e. Athens, Circleville, Valley] and have done so in convincing fashion. In nine games, the Falcons are outscoring opponents 77-18. C. Don’t look now but it looks as if we’ve got quite the softball conference title race in the SOC I. Clay, 9-0, and Notre Dame, 9-0, are on a collision course and have both beaten opponents in higher divisions. Clay’s marquee wins have come over Fairfield Union and South Webster while Notre Dame has beaten Circleville, Ironton and Symmes Valley. The Panthers and Titans play each other for the first time this week. As you might imagine, we’re excited. In a nine-inning win over Huntington Saturday, South Webster’s Gwen Messer was nothing short of extraordinary. The Jeeps’ pitcher struck out 20 hitters and, guess what, still didn’t get the win. Throwing 127 pitches and posting a strike percentage of .661, Messer had the best outing of her career and, probably, one of the best outings in program history. On Wednesday, Clay’s Reece Whitley was a man among boys. In a 15-4 win over West Union, Whitley was electric with the bat in his hands, finishing 3-for-5 with four runs and two RBIs. On the hill, he threw a complete game, surrendering just four hits and striking out 10 hitters. Valley’s baseball program hasn’t had the best of starts. But don’t sleep on the Indians, especially with players like Tanner Cunningham. On Friday, the senior hurler helped his team beat South Webster by throwing all seven innings, allowing a single hit and whiffing 11. A jam-packed week lies ahead. 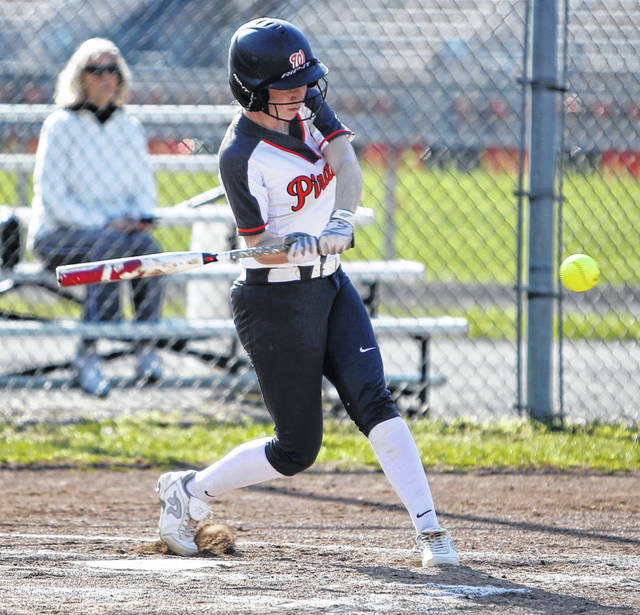 To start, Clay softball travels to Waverly Tuesday evening for a non-league affair while Wheelersburg hosts Oak Hill — the Pirates beat the Oaks 6-3 this past Friday. On Wednesday, Wheelersburg baseball hosts Minford in an important SOC II matchup. Then, on Thursday, Clay softball continues a tough week as they travel to Notre Dame. Make sure and follow us on Twitter [myself at @dw1509 and Jacob Smith at @JacobSmithPDT] and give a “like” to our Portsmouth Daily Times Sports Facebook page for continuous updates.